We celebrate the end of summer with beer, biking and our western stamp on fun. Join us for this mountain town take on Oktoberfest and get ready for a weekend of food, beer tastings, music, and entertainment all over town. 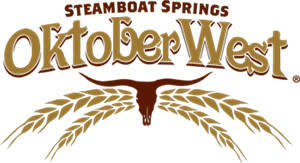 Celebrate fall in the Rockies with a Steamboat style beer festival…beef, beer, and Steamboat! Presented by Resort Group and Steamboat Springs. The weekend kicks off on Friday. Head downtown and stroll to participating restaurants to taste a variety of seasonal and local beers. This event is a fundraiser for the Young Professionals Network. Saturday’s event takes place in Gondola Square at the Steamboat Mountain Village. Come listen to live music by Euforquestra, taste all the beef you can eat at the cook-off and drink plenty of regional beers in the beer garden. Sample Colorado Beef from Steamboat’s finest restaurants; as they compete for the winner of the I Love Beef Cook Off. Attendees will taste dishes from each restaurant and cast their vote for their favorite! The Beer Garden will feature over 45 Rocky Mountain Brewers, each sampling 2 kinds of brew. 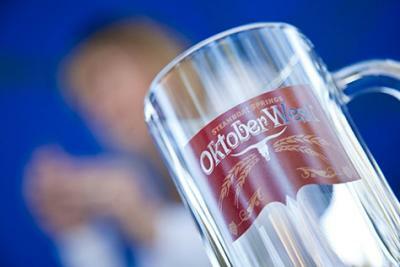 Celebrate our 10th year in style with a commemorative ceramic stein. See ticketing for more details. *Must be 21 years or older to attend the Beer Garden. Buy one get one free scenic gondola rides at Steamboat Ski Resort. Tickets must be booked in advance and are valid for 1 day. Tickets can be used within 7 days after the date printed on the ticket. Save 50% off Land Up Activity Pass for use on Saturday, September 15, 2018. For additional info on activities, please visit steamboat.com. For questions or more information contact Lisa at Misto Productions or call 970-846-7050. Event held rain or shine. Please no dogs at the event site.